March 2012 Entrepreneur Night was hosted by The Humidor Cigar Bar and Lounge located at European Village in Palm Coast attended by 62 Entrepreneurs and Small Business Owners, Investors, Aspiring Entrepreneurs, and professionals who provide support and services to entrepreneurs. Participants, enjoyed beer and wine selections, free appetizers provided by The Humidor, and delicious selections of pizzas from Mezzaluna sponsored by Office Divvy ™. 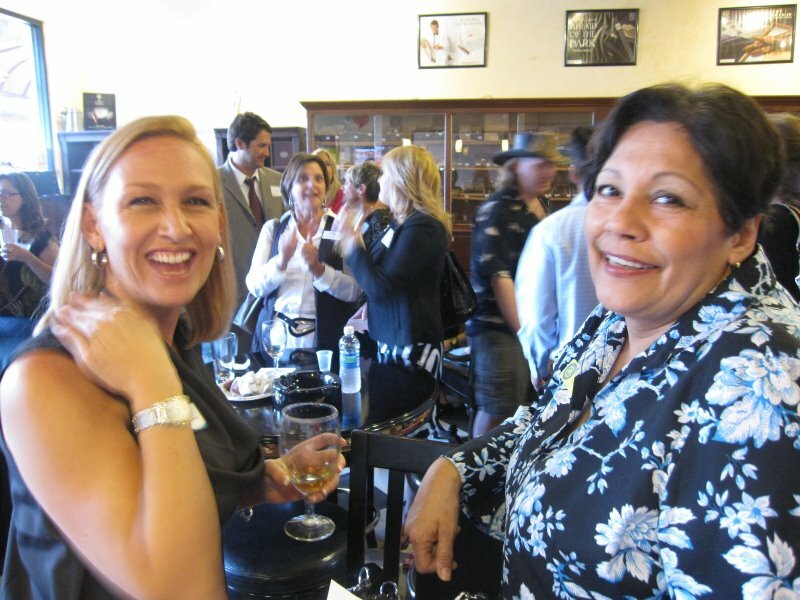 Taking place at a cigar bar, a dozen participants also enjoyed a celebratory cigar during the event. Raffle items were provided by multiple companies. Event management was provided by Alani’s Creations. Christie Hyde of Christie’s Creations, based in Daytona Beach displayed her talent in baking by offering delicious byte sized cupcakes. Linda McKenney a Mobile Massage Therapist in Flagler County, offered free chair massages to the entrepreneurs. At this event, we honored Flagler Cats as the non-profit of the month. Flagler Cats is a 501(c)3 non profit organization dedicated to enacting ethical, non-lethal and effective polices to reduce feral cat populations. Flagler Flagler Cats strongly believes in Trap-Neuter-Return and a No Kill policy; is in the process of building a new clinic and shelter. The organization received multiple donations at the Entrepreneur Night event.